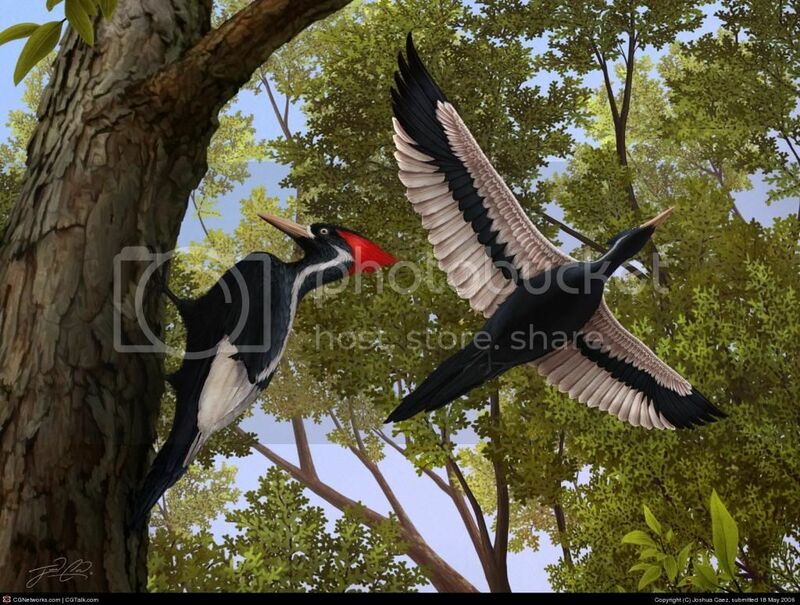 Part 3 of Skeptic Check: Monster Mashup, featuring John Fitzpatrick, ornithologist and director of the Cornell Lab of Ornithology at Cornell University, discussing the not-quite-extinction of the Ivory-Billed Woodpecker. I sighted what I believe was an ivory billed woodpecker on March 15, 2014 near my home in a wooded area along a shallow stream off Nottingham Drive in Thomasville, GA. I hoped that I would see it again. The trees were still dormant and it was easily visible, tho a huge surprise to me. I had it in my cell phone, but did not get a photo. The most striking features were the triangular white patch, and different wing coloration when it flew between 2 trees , which it worked for several moments, high and low. It was considerably larger than the pileated woodpeckers which we see frequently around here. It impressed me!